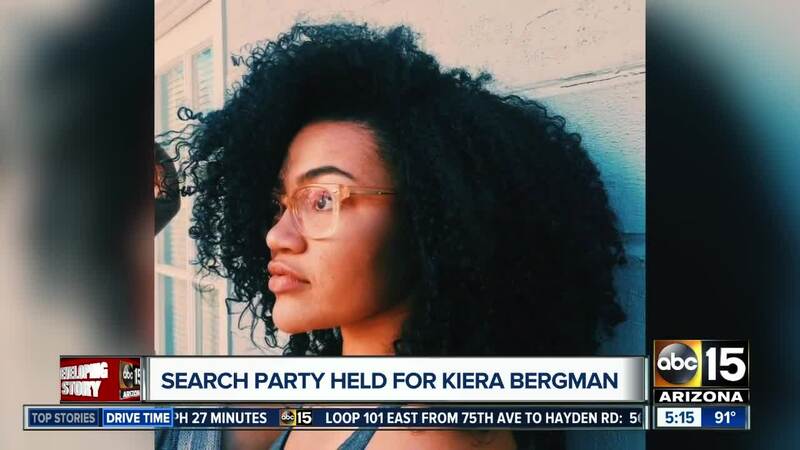 PHOENIX - Missing 19-year-old Kiera Bergman has been located deceased in the West Valley. 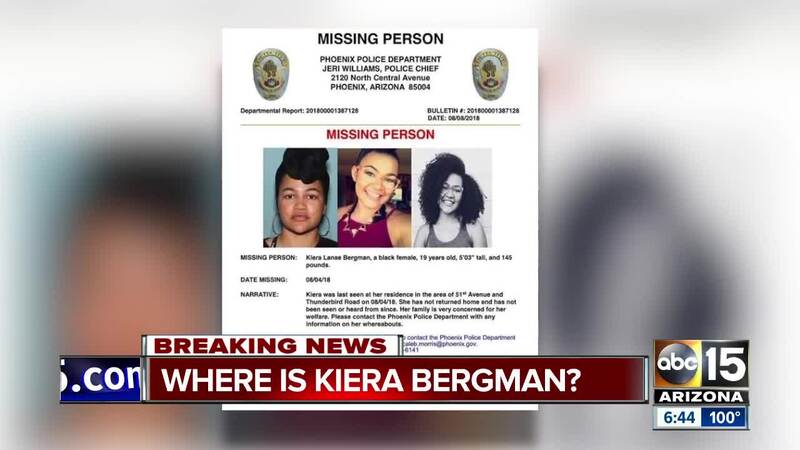 Phoenix police said Bergman’s body was located near State Route 85 and Hazen Road on Monday. 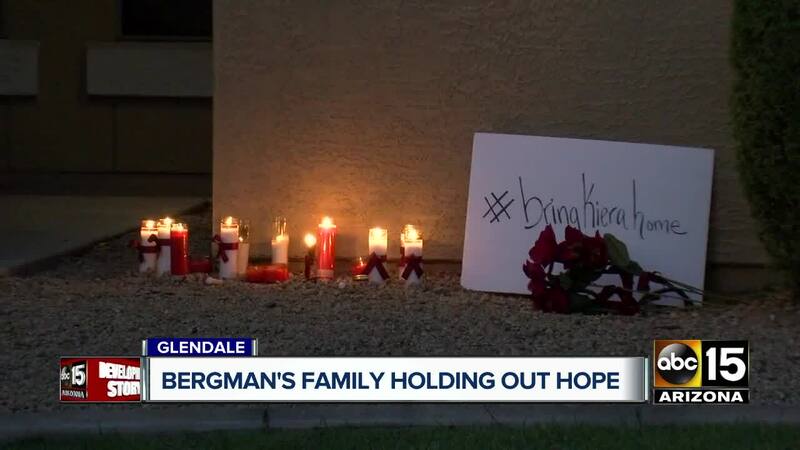 The Maricopa County Sheriff’s Office recovered Bergman’s body and Phoenix police assumed the homicide investigation. At this time, no arrest has been made. 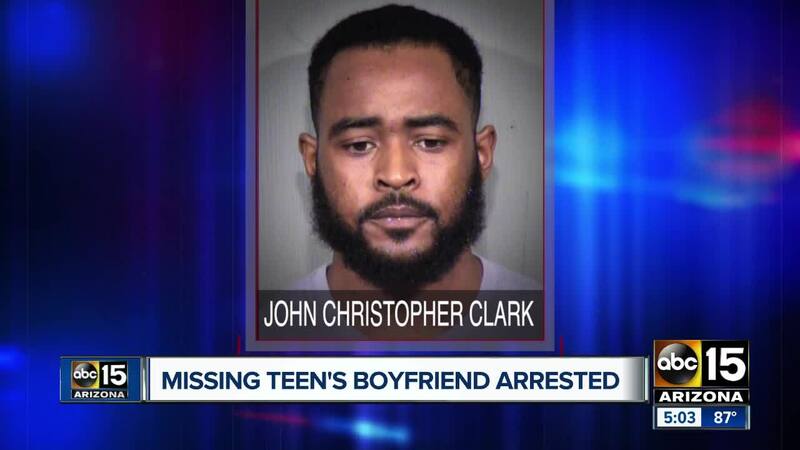 Phoenix police have suspected foul play in the disappearance of the 19-year-old. 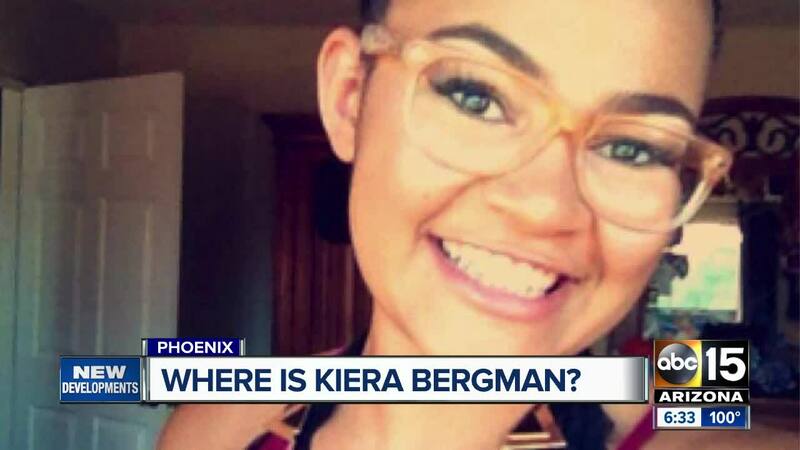 Phoenix police arrested Bergman's ex-boyfriend while interviewing him about Kiera's disappearance. A search of his car turned up several stolen IDs. He was arrested and charged with 22 counts of aggravated felony theft and two counts of forgery. Police have not given any indication that he has any connection to her disappearance. Kiera's family, however, remains suspicious. "I believe he knows something," said her mother, Kiersten Bragg. "Whether he has done something or he knows what has happened." Police are asking anyone with any information about her death to call 480-WITNESS. Bergman's body was found less than four miles from the location where 10-year-old Jesse Wilson's body was found in March 2018.